Magicard PVC Card | Smart Card | Esskay Technologys Pvt. Ltd.
Blank Magicard PVC Cards, with their dust-free surfaces and burr free edges, offer the best fit for use with your Magicard Printer. 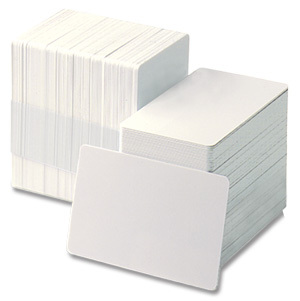 Magicard offers a wide variety of blank card styles - from standard white CR80 cards to high-security holopatch cards - that you can easily customize using your Magicard printer.